DJ AKS releases his brand new remix of Parichay’s smash hit single “Habitaan Vigaad Di” featuring Nargis Fakhri & Kardinal Offishall! Available for FREE DOWNLOAD!! 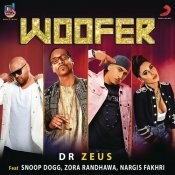 BeingU Music are finally proud to present the highly anticipated brand new smash hit single released by Dr Zeus entitled “Woofer” featuring Snoop Dogg, Zora Randhawa & Nargis Fakhri! This is the first single taken from Dr Zeus’ much awaited brand new album “Global Injection” coming soon!! ARE YOU Nargis Fakhri? Contact us to get a featured artist profile page.